How to watch Horrid Henry: Season 5 (2018) on Netflix Canada! Sorry, Horrid Henry: Season 5 is not available on Canadian Netflix, but you can unlock it right now in Canada and start watching! With a few simple steps you can change your Netflix region to a country like United Kingdom and start watching British Netflix, which includes Horrid Henry: Season 5. We'll keep checking Netflix Canada for Horrid Henry: Season 5, and this page will be updated with any changes. Horrid Henry: Season 5 is not available in Canada BUT it can be unlocked and viewed! To his family's frustration, Henry is skilled at making trouble, from babysitting pets in his bedroom to starting a shark panic at the swimming pool. Parents, baby sitters, teachers -- yuck! This little boy just wants to have fun and get into adventures. Season 1 of Horrid Henry has 42 episodes. Because different Netflix countries have different availability for episodes, you'll need to check the episode listing below to see which are available in Canada. Just as Henry's settled down to watch his hero Mutant Max, he's forced out of the house for a family walk in the countryside. Moody Margaret is moving in while her parents are away for a few days, and now Henry is up against someone even more horrid than he is. The latest craze is gizmo collecting -- not just any old gizmo, but the ones from the Sweet Tweet cereal boxes. And Henry has his eye on Peter's. Mum is organizing the school fair and is on the hunt for old games and toys. Henry generously donates his Walkie-Talkie-Burpy-Slurpy-Teasy-Weasy Doll. It's Halloween, and Henry is looking forward to playing lots of tricks and being given lots of treats. But he's banned from leaving the house! Miss Battle-Axe is determined that no one -- not even Henry -- will spoil this year's sports day. Everyone's losing teeth, except for Henry. It's not fair, and something must be done. But Henry finds that it isn't so easy to trick the Tooth Fairy. Greasy Greta, the dinner lady, is rigorously enforcing the no-sweets-in-school rule by eating all the evidence! There's only one way to stop her. It's Christmas, and Stuck-Up Steve is set to get his usual huge pile of presents -- most of which Henry would really like to receive. Henry knows how to deal with baby sitters. But when Rabid Rebecca turns up, Henry finds that his usual tactics just don't work. When Mr. Kill goes missing, Henry plays detective. His suspects include Dad, Perfect Peter and, of course, Moody Margaret! Another day, another swimming lesson. Henry needs to come up with something good to avoid his least favorite lesson of all time! It's take-your-child-to-work day, and Henry can't wait -- a whole day playing computer games, eating donuts and surfing the web! Or so he thinks. Banned from Lazer Zap as a result of previous misdemeanors, Henry has to find another venue for his birthday party on short notice. A special night out at a posh restaurant with Rich Aunt Ruby and Stuck-Up Steve is exactly what Henry doesn't want. Henry's homemade time machine takes Peter back to the future to visit the Peter Museum. Peter is delighted -- he always knew he was special. There's a chocolate mousse in the fridge with Henry's name on it, so he's outraged when he finds out he's not part of Mum and Dad's dinner plans. Henry's really looking forward to his school trip to the local ice cream factory. But they're closed, so the class goes to the museum instead. When Henry is low on money, Mum suggests that he earn some -- though selling Peter as a servant isn't quite what she had in mind. When Henry accidentally paints Peter blue, he's sent to his room for a very long time, and all his stuff is confiscated. When Peter realizes that it sometimes pays to be horrid, he decides to be really, really horrid. But can he ever be as horrid as Henry? Henry's plan to take a day off from school unravels when he finds out that everyone else is sick. When Henry manages to lock himself in the cellar with Peter, his first reaction is that it's just not fair. His second reaction is to find a way out. Henry is out of sleepover options, until New Nick invites him over for what Henry assumes will be another great night of mayhem. Henry's only chance to see his favorite team play live is to win Best Player in a school football competition. Mum and Dad drag Henry off for a spot of camping, but Henry's idea of a holiday isn't the same as everyone else's. The school talent competition gives Henry a chance to show off what he can really do -- and get tickets to see the Killer Boy Rats as well! A bad school report foils Henry's plan for a great night out at the funfair, until he comes up with the most cunning idea ever! Peter's party clown isn't everything that he seems, so Henry and Ralph decide to help him out a bit with his magic act. It's time for the ultimate showdown as Henry and Margaret go head-to-head to prove which is best: the Purple Hand Gang or the Secret Club. It's injection day at school. Henry wants to be brave, especially in front of his classmates, but he just can't go through with it. Perfect Peter concocts a devious revenge scheme against his older brother with the help of the Best Boys Club. Henry has to think fast when Mum forbids him from putting his slime into this year's school time capsule. When Horrid Henry gets into trouble for the millionth time, he decides that the only solution is to run away to a better life. Breaking in new teachers isn't easy, but someone's got to do it -- and who better than Henry? Henry's career as a film director gets off to a shaky start -- but who would have guessed that he'd end up in a starring role? Henry's got his heart set on some new shoes; Mum wants to buy trousers that fit. But a day out at the department store turns into the usual disaster. While spending the weekend at Rich Aunt Ruby's house, Henry finds that there are spooky things happening in the attic. Ralph, Al and Bert are set on revenge when Henry's latest trick gets a bit out of hand, but Henry's convinced they'll never get him. No one's more excited than Henry when the Queen comes to visit. But her visit doesn't turn out quite the way Henry imagined it. When Henry gets top marks on a computer test, everyone is delighted -- except Henry, who's not quite comfortable being at the head of the class. Henry is the victim of the Fangmangler, a fearsome creature who comes out at night to eat little children -- especially little brothers. Season 1 of Horrid Henry has 26 episodes. Because different Netflix countries have different availability for episodes, you'll need to check the episode listing below to see which are available in Canada. Blue is the color and revenge is the game after Peter goes one step too far. / Moody Margaret's moving in, but for how long? The Tooth Fairy is in town, but Henry doesn't have a tooth to leave her. / The family's walk in the country turns into a walk on the wild side. Henry tries to win the toy of his dreams: the Double Drencher 3000. / Henry's least favorite day gets worse when he finds out his race partner. There's a new Dinner Lady in town, and she's hungry! / Will Halloween be canceled, or can Henry come up with a plan to have his tricks and treats? Can Henry turn on his footballing skills and win tickets to his beloved team's match? / Henry's contribution to the school's time capsule backfires. The new teacher seems to be getting the better of Henry. / Henry faces a disastrous present, friends out for revenge and a games lesson at school. It's Henry's chance to be a rock star, at last! / Fang takes matters into his own hands when Henry takes him to school for show-and-tell. Henry finds himself at the top of the class after a computer test. / Henry's latest get-rich-quick scheme backfires on him spectacularly. Bells jingle and boom-booms bash in this tale of goodwill to all men, women and Horrid Henrys! / Henry's new shoes turn out to be a real giveaway. Horrid Henry and the Dinner Guests / Where's Fluffy? Henry meets his match in this story of mayhem and chocolate mousse. / Fluffy's disappeared, and Margaret is being even more secretive than usual. Henry and Ralph help out with the magic show at Peter's birthday party. / Henry's idea of a real holiday isn't the same as Mum and Dad's. Henry decides to be perfect for the day. / It's worm-eat-worm as the Purple Hand Gang goes head-to-head with the Secret Club. Perfect Peter decides to plot revenge on Henry with the help of the Best Boys Club. / Henry gets trapped in a dark cellar with only Peter for company. It's Peter's turn to be horrid -- really, really horrid! / Help! It's injection day at school, and Nurse Needle is on the loose! Henry tries to get through his household chores quickly. / A day in the life of Horrid Henry -- now that's worth watching! Henry's on a school trip, which can mean only one thing -- trouble! / There's fishy fun at the aquarium as Dad takes Henry and Peter for a day out. Henry creates a new style of dancing that wins everyone over. / Will Henry end up in the Tower when he meets the Queen? Henry tries to get out of his least favorite lesson. But will Sid make him take the plunge? / Henry promises that his will be the best birthday ever. Snails anyone? When Henry eats out, he does it in style! / The only way to win a book-reading competition is to read some books. Or is it? There's not much sleep in store for Henry when New Nick invites him over for a sleepover. / It's Take Your Child to Work Day for Henry's dad. Henry's starring role as page boy at his cousin's wedding offers all sorts of opportunities for trouble. / Henry takes a sick day off school. Henry tries to be the first boy at school to get the fantastic Gold Gizmo. / Believing in fairies brings Peter everything he wishes for and more. Now here's something you never thought you'd see: Horrid Henry tidies up. / Henry's latest get-rich-quick idea doesn't turn out as he'd hoped! Horrid Henry and The Bogey Babysitter / Who Stole Mr. Kill? A new baby sitter forces Henry to become even more inventive. / When his teddy goes missing, Henry decides to become a detective and investigate. When Horrid Henry becomes a time traveler, it's back to the future for Peter -- with disastrous results! / Henry decides to run away from home. Season 2 of Horrid Henry has 26 episodes. Because different Netflix countries have different availability for episodes, you'll need to check the episode listing below to see which are available in Canada. It's "Be Nice to Your Brother Day," and Henry has the chance to win a Gross DVD; Peter's having a sleepover. Henry finds it harder to be horrid when he has the hiccups; Moody Margaret inexplicably starts being nice to Henry. Henry finds out the meaning of "best friend"; Henry is encouraged by Dad to take a Saturday job in the local park. Perfect Peter's perfect pen pal, Super Sammy, comes to visit; Henry thinks being headmaster for the day will be like being king for the day. Henry and Peter adopt a cat, but they can't decide on a name; Steve's birthday tea just happens to clash with a crucial Ashton Athletic match. Henry steps in when Bossy Bill turns up to make Peter's life a misery; Peter and Henry become gardeners. Henry's always wanted to play the lead in the school play -- and now's his chance; Ralph lends Henry the yuckiest DVD ever. Peter's well on the way to winning the school talent contest; when Henry accidentally breaks Mum's perfume bottle, he has to replace it. Henry and Dad find themselves going on a fishing trip together; Henry gets too ambitious with his new pet-sitting service. Henry races to retrieve a potentially damaging project; Mum decides to extend her vegetable patch, and that means requisitioning Henry's fort. Henry ensures the world is never without ice cream; a school uniform is being introduced to Henry's school. Mum, Dad and Peter are being very secretive; when the show "Kidswap" comes to town, Henry thinks the idea of swapping parents is a great one. Great Aunt Greta comes to look after the boys; who would have thought that Mum, Dad, Peter and Henry could ever be the Happiest Family in Britain? Henry finds himself in the kitchen and wonders if his cooking will be good enough to eat; Henry discovers that old age is no excuse for good behavior. 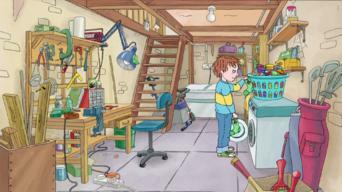 Horrid Henry tries exercising ... for fun; Christmas means a lot to Henry, especially when his winter wish comes true. Moody Margaret seems to have forgotten that the Purple Hand Gang rules -- of course, it's Henry's job to remind her; will Horrid Henry get married? Henry sees Miss B and Soggy in a compromising situation that he can possibly turn to his advantage; Dad and Henry build a go kart. The family tries to "go green" -- but not if Henry has anything to do with it; Henry and Peter are off to summer camp, but it won't be a holiday. Henry might become a king; when Peter is rewarded for something that Henry has done, Henry decides to make sure that justice is done too. Mum's cookies are a big hit with everyone, including Henry; Horrid Henry gets a haircut -- at least that's how Mum has planned it. Moody Margaret becomes editor of the school newspaper; Horrid Henry has to change a diaper when he babysits Vomiting Vera. 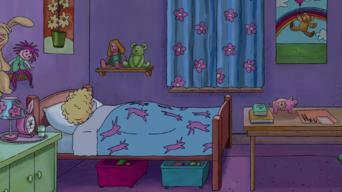 Henry and Ralph have the "lying disease"; Dad announces that his new job means the family has to move. The race is on for the answer to the Gross Question; Mum's birthday's coming up, so Rich Aunt Ruby takes Henry, Peter and Stuck-Up Steve shopping. Fang has disappeared, and no one knows if he's coming back; Henry and Ralph learn about shortcuts. 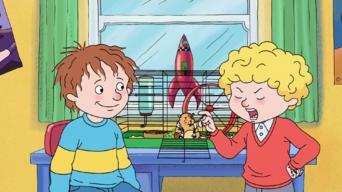 Henry discovers that one person's rubbish is another person's treasure; Henry has a chance to meet the Killer Boy Rats. An outing to the movies with Pimply Paul, Prissy Polly and Vomiting Vera is never going to be simple; Henry's all set to meet his favorite author. Season 2 of Horrid Henry has 42 episodes. Because different Netflix countries have different availability for episodes, you'll need to check the episode listing below to see which are available in Canada. 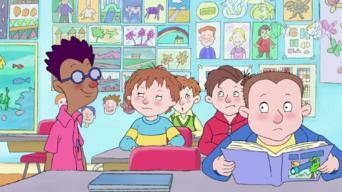 Horrid Henry, Purple Hand Gang Rules O.K! Horrid Henry So Not a Girl! 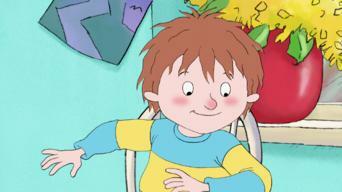 Horrid Henry Here to Entertain You! Season 3 of Horrid Henry has 26 episodes. Because different Netflix countries have different availability for episodes, you'll need to check the episode listing below to see which are available in Canada. Moody Margaret tries to thwart Horrid Henry's dreams of becoming a rock star; Henry's dad can't get him to turn down his music and turn off the TV. The full moon has Horrid Henry seeing werewolves, especially when Perfect Peter shows signs of being one himself; Henry delivers messages to teachers. Stuck Up Steve spoils the fun when Horrid Henry finally gets to fly a plane; Horrid Henry's a little nervous about his dad's plans for the day. Horrid Henry dreads having to spend a day out with his great aunt, Greta; the Purple Hand Gang challenges the Secret Club for playground equipment. 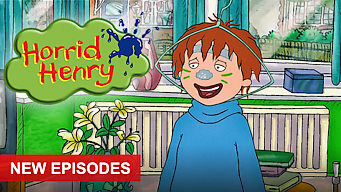 Horrid Henry discovers that feeling lucky is different from being lucky; Henry must find a way to prove to Moody Margaret he's got the biggest bogey. Horrid Henry angers Miss Battle-Axe when he tries a new way to get out of homework; Henry goes too far with an excuse for not doing an assignment. Horrid Henry spends a day as a grown up; Miss Battle-Axe's holiday has Horrid Henry jumping for joy ... but not for long. Horrid Henry plays detective to find out who's stealing his mother's snacks; Horrid Henry's mother urges him to take a walk in the park. Horrid Henry wants to give his mom the perfect Mother's Day gift; when he has a rotten day, Horrid Henry sees himself as his friends and family do. Perfect Peter surprises everyone by taking up the messy sport of paintballing; Horrid Henry is left behind, but he doesn't enjoy his freedom for long. Horrid Henry races Moody Margaret to find the last copy of a comic book; Horrid Henry finally gets the scooter he's always wanted. Horrid Henry wants a scooter more than anything else in the world; Horrid Henry gets a visit from his fussy Uncle Francis. The baby's missing again, but for once Horrid Henry isn't to blame; Henry discovers that stamp collecting isn't the easy hobby he thought it would be. Horrid Henry takes on baby-sitting duty to get himself out of a jam; Horrid Henry gets a lesson in value when he sells his old clothes. Moody Margaret wants to be a superstar; Horrid Henry gets invited to a sleepover, but it's the last place he wants to be. Horrid Henry learns all about acting when he gets a part in a movie; everyone says life isn't fair, but Horrid Henry's about to prove them wrong. Horrid Henry puts his best foot forward to join the Best Boys' Club; Henry is surprised when he has a good time at the theater. It usually takes forever for Christmas to come, but this year Horrid Henry needs more time; Fang trains to meet Boodle Poodle's challenge. 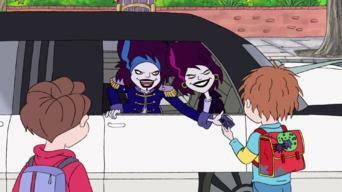 Horrid Henry and the New Best Friend / Horrid Henry Horrid Boy? Horrid Henry's friendship with Nice Nicola abruptly ends when she becomes Nasty Nicola; why is Henry's dad doing his homework for him? 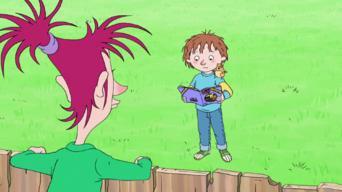 Horrid Henry So Not a Girl! / Horrid Henry Here to Entertain You! Moody Margaret gives Sour Susan lessons in being a girl; Horrid Henry and Perfect Peter pose as entertainers to crash Moody Margaret's party. Horrid Henry gets everyone sent to detention, and has to get them out before an important football match; Henry and Rude Ralph crack a code. Horrid Henry My Weird Family / Horrid Henry, It's all Your Fault! Horrid Henry and his family can't wait to take part in Family Fresh Air Day; Henry tries to avoid taking the blame, though he's obviously at fault. Horrid Henry helps Rude Ralph learn to pursue his dreams, no matter who tries to stand in his way; Perfect Peter grows tired of keeping a secret. Horrid Henry gets his first job, but it means getting up early in the morning; Henry tries to find out who's spying on the Purple Hand Gang. The search for some money brings Horrid Henry face-to-face with Moody Margaret; Horrid Henry finds he has the power to sell the school. Horrid Henry wants his own mobile phone, while Perfect Peter longs to cover himself with bling; a banana starts a series of problems for Henry. Season 3 of Horrid Henry has 44 episodes. Because different Netflix countries have different availability for episodes, you'll need to check the episode listing below to see which are available in Canada. Horrid Henry Knows It All! 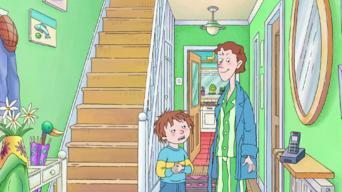 Horrid Henry: Good Morning Henry! Season 4 of Horrid Henry has 26 episodes. Because different Netflix countries have different availability for episodes, you'll need to check the episode listing below to see which are available in Canada. Henry's desperate to read his favorite comic book, but no one will leave him alone; Henry vows to get his hands on some Killer Boy Rats tickets. Henry stuns everyone, including himself, when he actually does his homework; Henry's plan to shoot his own music video attracts an excess of extras. Henry's younger brother, Peter, tries his best to keep everyone happy; Henry takes advantage of Fang's unwavering friendship. A visit from Doddery Donald turns Henry's bad day around; Henry wishes his parents were perfect but quickly comes to regret it. Henry uncovers an upside to having a perfectly wormy little brother; Henry learns the truth can hurt ... especially when it comes from Moody Margaret. Henry's on the case when his best friend, Rude Ralph, goes missing; Henry makes it to school but gets locked out of the building. Henry gets his hands on Rude Ralph's mobile phone; Moody Margaret decides that becoming president is the only way to get things done. Peter aims for perfection when he takes on the role of the Purple Hand Gang's new chief secretary; Henry learns there's a motto for every occasion. Soggy Sid accuses Henry and his "horrid hat" of a fashion faux pas; Moody Margaret refuses to accept defeat when the school play is canceled. Moody Margaret turns up the volume to get in on the Zero Zombies' act; Henry isn't quite ready for the first day of school. Moody Margaret does everything in her power to get into the Purple Hand Gang; Margaret challenges the gang to a game changer. A fed-up Henry decides to go on strike; Henry's school is out on holiday, but it doesn't turn out quite as Henry expected. For Henry, finding a sock's missing match makes laundry day miserable. Henry gets a taste of power when he's appointed recycling ambassador at school. Henry gives away his belongings, but the results aren’t quite what he expected. Peter has a chance his meet his favorite author. Henry explains why he appears holding hands with a girl in his own movie. Peter becomes swept up in a mystery involving a hashtag. Henry competes with Fluffy for ownership of his favorite cushion. Later, he's less than thrilled to be celebrating his birthday. Not horrid for once, Henry worries that his father is working too hard. King Henry embarks on a “risky and dangerous” mission to recover his sword. Henry changes everyone's nicknames, causing much uproar. The boys have a questionable morning and decide they can do something about it. Henry is utterly perplexed when everyone in town begins acting strange around him. Later, he wonders why he gets blamed for everything. Henry finds out there’s a lot to be learned after school, even if it's in detention. Henry and Ralph plan a raid, but Peter wants no part of it. 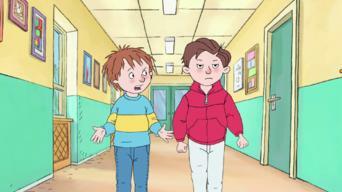 For Horrid Henry, taking his baby cousin to school doesn’t go smoothly. Later, he finds himself knee-deep in tongue twisters. Henry has to get serious when a very important math test comes up. Later, he goes on a strange adventure after staying up too late. Kitties, hamsters and poodles make for an interesting combination when a new pet moves in next door. Henry demonstrates how to be horrid. Everyone has things they love to hate, but Henry can’t decide which are his favorite. When a teacher asks him to mix things up, he takes it literally. Henry enlists the help of his motley friends to expose a diabolical mastermind. Later, he wakes up to find his life is a rousing musical! 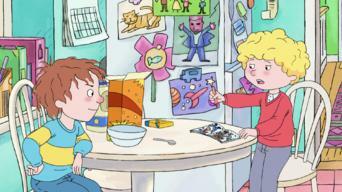 Horrid Henry is dubious of the merits of a so-called breakfast of champions. Later, the curious boy tries to define love. Season 5 of Horrid Henry has 11 episodes. Because different Netflix countries have different availability for episodes, you'll need to check the episode listing below to see which are available in Canada. Henry devises a cheeky scheme to help his classmates get homework done; learning that the school doctor is giving her patients sweets, Henry wants in. Henry makes a discovery that has him convinced he’s fit to be king; Brian and Henry decide to be inventors, but someone could be out to sabotage them. If Henry stays quiet, he can have pizza for tea, but being silent is hardly his strong suit; Henry is stunned when it seems Peter can read his mind. When Fang is keen to win top prize at a local pet show, Henry reluctantly obliges; Henry is terrified when Mum makes him a dentist appointment. When Mum accidentally throws out Henry’s Lucky Thing, is he doomed for misfortune? Henry faces a surprising rival when he runs for School Council. When Dad’s plans to buy a TV don’t go as expected, Henry and Fang step in; Henry and his friends aren't prepared for the havoc a magic wand can wreak.